If you thought Lake Nona was teeming with construction before, just wait. 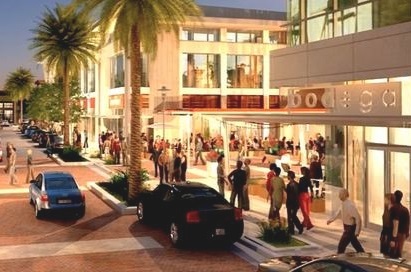 The 17-square-mile southeast Orlando community this month is gearing up plans for at least three new big projects, is adding to a fourth and preparing to expand a fifth — in all, close to $1 billion in construction value. The projects range from global audit giant KPMG LLP’s new $430 million training facility to a new $15 million-$25 million golf-themed entertainment concept called Drive Shack. Check out the details in the map and below. 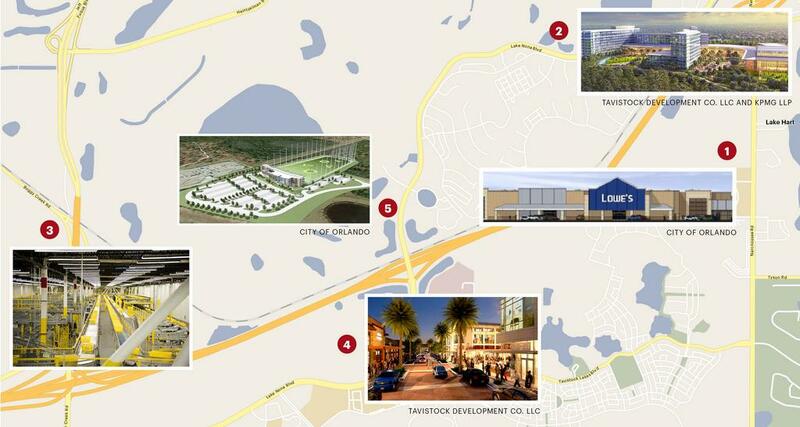 And see our Orlando Crane Watch feature to track more local development at http://bizj.us/1p6sy8. OBJ Staff Writer Sarah Aslam contributed to this article. 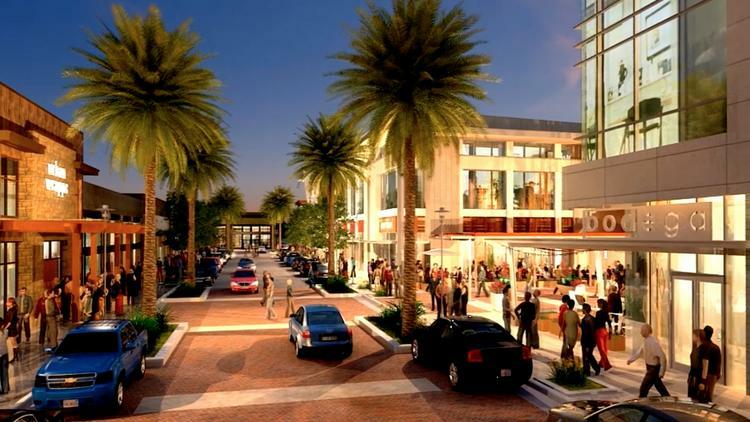 Impact: These are the next round of tenants in the 467,369-square-foot Lake Nona Landing shopping center, which already features a Walmart Supercenter and Sam’s Club, and brings a huge, much-needed shopping and dining element to the area. Status: Grading to begin this summer, foundation work to start in the fall; general contractor has not yet been selected. Plans: This is the master plan for what appears to be a new fulfillment distribution facility for Seattle-based Amazon.com Inc. (Nasdaq: AMZN). The 131-acre project would include a 51-foot-high warehouse/distribution facility with a footprint of 855,000 square feet and 2.3 million square feet total including mezzanines with 2,784 parking spaces. Impact: An Amazon fulfillment center is landscape-changing for the community, as it would bring thousands of jobs to the region as well as give Orlando better access to Amazon Prime, the e-commerce giant’s fast-spreading same-day delivery service. Status: Atlanta-based developer Seefried Industrial Properties Inc. submitted permit documents on May 19; the Orange County Commission was slated to approve the project on May 24; Amazon is expected to sign on as a tenant in the facility by next month. The land is still owned by Tavistock Development Co. LLC’s related entity, Crockett Development Property LLC. Status: Construction is expected to start by year’s end. Impact: This is the next piece of Lake Nona’s 300-acre Sports & Performance District, which boasts the $100 million USTA National Campus; $1.4 million USTA Florida headquarters; U.S. Professional Tennis Association complex; and a $20 million Orlando City Soccer Club training facility. Status: Permit valued at $10 million was issued by city of Orlando on May 17 to start construction; Franklin, Tenn.-based The Parkes Cos. is the general contractor; Kansas City, Mo.-based Populous is the project architect; Walter P. Moore is the structural engineer; ME Engineers is handling mechanical, electrical and plumbing; and Howe Engineers is the code engineer.